Is the Aussie movie and TV streaming service facing the Stan-ly knife? 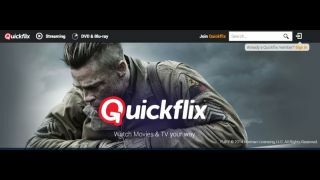 Australian streaming and DVD subscription service Quickflix has halted trading on the stock market today, in anticipation of an announcement regarding the potential sale of the company's streaming service. The announcement was delivered in a letter to shareholders, which outlined that Quickflix securities would cease to trade until the 15th of May, due to an impending announcement concerning a 'material commercial agreement' for the streaming aspect of the business. In April, Stream Co, the Nine-Fairfax-owned company that operates the competitive streaming service Stan, acquired an 8% share in Quickflix. These preference shares were bought from HBO and the transfer included some interesting stipulations, which were highly beneficial for Stream Co. Does Stan hold the keys to Quickflix's future? HBO were issued these shares when Quickflix was suffering cash-flow problems and, as a precaution, the stock was issued with a $10.5m guaranteed payout in the event of liquidation or sale, according to mUmBRELLA. With Quickflix's net worth sitting around $17.8m in April, these clauses (which were transferred to Stream Co) increased the purchase price of Quickflix for other interested parties by over a third. Considering these clauses still hold, we are likely to hear that Stream Co will be buying the streaming side of Quickflix -- or that the company is being liquidated -- over the next few days. According to CNet, none of the content deals that Quickflix currently has in place will be able to be transferred over to Stan. The latter would, however, benefit from the broad device infrastructure that Quickflix currently holds, which includes native streaming apps for smart TVs, consoles and media players.